One storyline thread that connected the David vs. Goliath narrative from the premiere through to the finale was Angelina's opening-episode confessional pointing out that women find vastly fewer idols than men. Angelina came up short in her own first-episode idol quest, and as the season progressed, and more and more idols were discovered by men, women continued to come away empty-handed. Angelina's stats were also pretty close to reality, as well. Over the complete history of hidden immunity idols in Survivor, women have found just 17 idols, versus 81 obtained by men (full list here), giving women just 17% of all idol finds. Worse yet, women (Lauren and Angelina) have found just 2 of the last 38. What could possibly explain this disparity? This article, in collaboration with Sarah Channon at the Rob Has a Podcast blogs, is an attempt to answer that. Sarah surveyed past players about whether camp gender roles (or other factors) played a part in this. Read the results of her findings here: "Women and Idols: A Survivor Player's Guide". In this article, we'll get fairly deep into the statistics. The short answer is: It's not clear why men have found so many idols, especially recently. The long answer is: There are a lot of small differences (and one large one), which when combined, may start to explain the men's commanding lead. One key point to keep in mind for all of this idol-finding discussion is just how critical being the first person to find an idol at a particular camp is: There's only one idol per camp, at least until it's played. So if that camp's idol has already been found, it doesn't matter how much time anyone else spends searching after that, nobody else is going to find one. At least until the idol is played, or a swap, or the merge, and even then, there's no guarantee another idol will be hidden. Despite this somewhat obvious point, how early is earliest? Methodology: Because we are comparing the ability of different contestants to find idols, we have removed all idols that had restricted access. 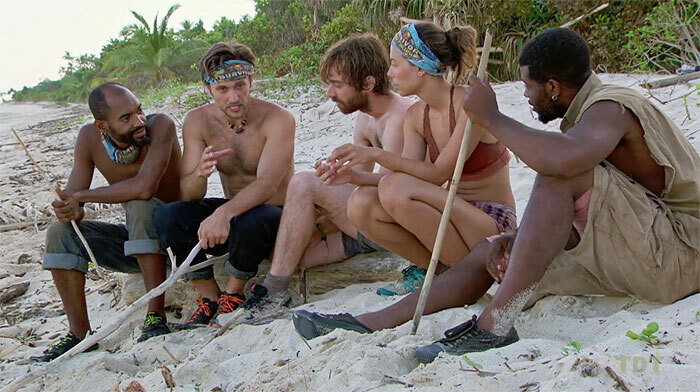 For example, if an idol was only on Exile Island, we didn't consider it (so long, early season Super Idols, f***ing sticks, and Jon Misch's dual finds). Also, if an idol was simply randomly distributed, say at the merge feast (sorry, Chris Noble) or during the opening scramble for items (sorry, Legacy Advantages), it was also ignored. That should leave us with a pool of idols that everyone on a tribe theoretically could have found. We'll call these "competitive" idols. 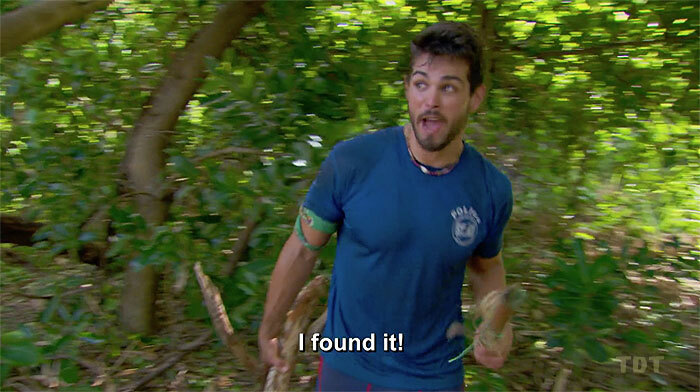 Additional note: We're also using the show's own timestamping here, and overlooking non-canon finding dates derived from post-game interviews, such as Domenick Abbate's re-telling that his Naviti idol find was on Night 1, not the early hours of Day 4, as was depicted in Ghost Island. We get it, sometimes the show needs to move finds to different episodes to fit them in. But the show's official timeline is all we really have to work with. So, using the criteria above, we're looking at 85 total "competitive" idols found, spanning 24 seasons (Guatemala, Fiji, and China, then Samoa to the present day). Of these, 71 were found by men, 14 by women. These numbers are actually slightly worse than the gender disparity for all idols, with men finding 83.5% of competitive idols, and women only 16.5% of them. But there are islands of interesting and/or surprising news. Here's our first surprise: Of the 85 idols that made this cut, only five were found in the first three days. That's probably great news for people panicking about splitting votes at the first Tribal Council. Even more surprising, women found four of these idols, and just one was found by a man (Dan Rengering, just this past season, although technically also Dom in the previous one). A whopping 4:1 female:male ratio! From there, however, it gets progressively more grim for women: During the next three-day period (Days 4-6), 13 men and zero women have found idols.With 24 seasons covered in this data set, that means if you're going to Tribal by the end of Day 6, there's a decent chance someone might have an idol (18 idols... although with 45 initial tribes, the actual rate is a bit lower). Conversely, there's a better than 1-in-2 chance that your tribe's idol is still out there, somewhere. Keep hope alive! Figure 1: Idols found per three-day span. Tracking (competitive) idols found by men (blue bars) vs. idols found by women (red bars) per three-day period of the game. Being the first to find an idol is also important for another reason, especially recently: In seasons where idols are hidden using a common theme/ clue system (i.e. every season from Millennials vs. Gen X to the present), finding an idol early gives the contestant an advantage at finding a second (or third) idol later. David Wright took advantage of that in MvGX, Tai Trang in Game Changers, Joe Mena in HvHvH, and Davie Rickenbacker in David vs. Goliath. So for those later-game idol finds, that may come into play more frequently. Below, we've graphed first finds vs. repeat finds, by time. Figure 2: Timing of initial vs. repeat idol finds. This graph tracks the discovery of second and third idols over the various phases of the game, relative to initial idol finds. As you'd expect, there's a surge of first-time idol finds at the start of the game. The second and/or third idol finds pick up around the time of the swap (Dan Rengering used his knowledge of the David vs Goliath pattern to find the newly-minted Tiva idol after the swap). Repeat idol finds peter off again around the merge, then surge once more toward the end of the game (picking up as idols are finally played, then re-hidden). So who is doing all this re-finding of idols? We don't need a graph for that: Almost exclusively men. Exactly one of the 21 second or third idols found in a single season has been found by a woman: Kelley Wentworth's second idol, found under the shelter on Day 28 of Cambodia. Let's look at this in a bit more detail. Below is a graph charting how many competitive first idols and repeat idols (second or third) have been found by men and by women. Figure 3: Historic rates of male and female initial and repeat (competitive) idol finds. Total idol finds by men (blue bars) and repeat finds (green bars) over the course of seasons 11-37 (Guatemala to David vs. Goliath). Contrasted with total finds by women (red bars) and repeat finds (purple bar). Female finds shown in the reverse orientation for better visual contrast. What's different about the male-dominated stretches, what separates them from the more balanced periods? One simple explanation is that it's not anything intrinsic to game structure in those seasons, and it's just an increase in aggressive, extremely idol-focused male players: Your Russell Hantzes, Malcolm Frebergs, Tony Vlachoses, and Tai Trangs.This is difficult to disprove: They really do account for a large number of idol finds, all by themselves (they're among the top in career idol finders, and have found 15 idols total, just between the four of them). But perhaps that helps to highlight part of the men's advantage: repeat idol finds. Just look at the seasons with the tallest blue bars in Fig. 3: They all have green bars. In recent seasons, the hiding system has conferred an advantage once it was known ("look for string," simple map on a tree, pour water on the side of the well, etc.). If exclusively men were finding those first idols, they'd be expected to have an advantage in finding the next one. In the past six seasons, women haven't found *any* of the original tribal idols, and when they have found idols, it's been really late in the game, when the hiding system has been abandoned. Lauren found hers on Day 31 of HvHvH, and it didn't follow the previous pattern. Angelina found hers on Day 36 of David vs. Goliath, one day before it expired. Both idols also required additional work to complete the find. So just how much more likely is a prior idol-finder than a non-finder to find another idol at later point in the game? That's actually something we can calculate directly, using the stats we have. To do this (sorry, more boring methodology ahoy), we went back to the list of idol finds, and asked whether the finder had previously found one that season (the "Prior?" column in the "Repeat Finds" spreadsheet tab, here, and in Table III below) or if it was a new find (the "New?" column). We also counted the number of previous finders and non-prior finders present in camp who were in competition for that idol. But now look back at the previous table (Table II): the newbies outnumbered the prior finders 235 to 66, a ratio of almost 4-to-1. Yet they weren't even able to muster a full 1-1 finding ratio. In summary: Bad job, newbies. And again, all but one of those repeat finds was by a man, a 20-to-1 ratio, with just Kelley Wentworth keeping women from being completely shut out. This doesn't explain the entire gender imbalance, obviously, since men have found (non-restricted) idols at five times the rate of women. But that's a significant contributor. An important caveat: This is a correlation, we can't say definitively that it's causative. (Even though it clearly is in some situations, like James in China or Tai in Game Changers.) As a counterexample, men found 32 idols in this subset, while women only found 7. 54% of the contestants present were men, so men found idols at 1.5-fold higher rate than their overall representation. Do men just naturally find idols at 1.5x the rate of women? Obviously not. Yet if we look just at the first-time idol finders overall, removing all the repeat finds, men still outnumber women 51 to 13 (a clean 80% / 20% split). So repeat finds are clearly not the only reason for men finding more idols than women. Even so, this bonus round of finding idols could be made more equitable. At the very least, Survivor should consider moving away from hiding initial tribe idols in exactly the same way. Mix it up! Throw one in a tree, put one near the well, or even bury some in camp, like in Fiji. Sure, it's fun when someone finds more than one idol. But it can't hurt to make them work for it as much as possible. To be fair to production, having an idol "theme" was probably came from wanting fairness: Everyone in each original camp truly has an equivalent chance at finding an idol. But obviously, that fairness completely reverses itself during a swap. Still, the main question remains: Why are men finding so many of the first-time idols? So yes, in extreme cases of tribal gender disparity, we'd expect to see unbalanced idol-finding. But tribal gender ratios that far from parity rarely happen. What about the rest of the cases, when the male-female differential is smaller? To see if gender balance in camp correlated with idol-finding gender ratios, we counted up the number of men and women present in that tribe's camp at the time each idol was found, then added up all the numbers, and compared the gender ratio when men found idols, vs. the gender ratio when women found idols. The result: Men are slightly overrepresented in camp at times when men find idols, and the reverse is also true for women. But only by a tiny amount: 53.9% men, but that's for all idols found. Looking just at first idols, there's a big drop, all the way down to ... 53.8% men. Figure 5: Idol finds vs. tribal gender differential. Total idol finds by men (blue bars) or by women (red bars) sorted by the difference in men vs. women on the tribe at the time the idol was found. So... maybe the question we should ask instead is: How often are women outnumbered by men? Could there just be too few women? There's a valid reason to ask whether tribal (or overall) gender differentials matter: David vs. Goliath and Millennials vs. Gen X were both fun seasons (and had a lot of idols), but they also hit their respective merges with a relative paucity of women still present. Could the rise of male-exclusive idol finding in recent seasons such as these just be a reflection of men being over-represented in general? This is a complex question to answer. We already looked at whether women were underrepresented on the specific tribes where men found idols, and the answer was: Not really. But as MvGX and DvsG show, there's an overarching, slightly more meta difference that starts to stand out when you look at the season as a whole, or the recent past set of seasons, and not just the tribe where the idol was found. There's a tendency for women to be voted out early in the game, which as we saw in Fig. 1, is when a big part of the surge in male first-time idol-finding takes place. To demonstrate this, we tracked the gender differential (number of men minus the number of women) for each day of the game through to Day 38 (where the last vote-out occurs, at least until the advent of F4 firemaking). We restricted this analysis to the last 17 seasons, where — as we saw in Fig. 3 — we've seen both balanced seasons and unbalanced seasons for men and women finding idols. Figure 6: Cumulative gender differential for the past 17 seasons (Nicaragua through David vs. Goliath). Gender differential = (number of men present) minus (number of women present) at the end of each day of the game. As you can see, men start off ahead (thanks, San Juan del Sur), build up a sizable early lead (a cumulative 14-man lead by Day 7), give some of it back, then steadily climb to a peak of +26 men at Day 20. Staying true to the frequent pre-merge mantra of "keep the tribe strong." Again, those numbers are so large because this is the sum of 17 seasons, but if there was no consistent trend for one or the other gender to be targeted, we'd expect to see a flat line at around zero the whole way. Day 20 is around the time of the merge, which means at that point (taking the average of 17 seasons), men have a mean numbers advantage of 1.5, every merge. Certainly, things start to even out after that, as men viewed as physical threats are frequent post-merge targets, and we end up close to gender parity again by Day 38. But it's hard to overlook that the pre-merge is a dangerous time to be a woman playing Survivor. And that this is when a lot of idol finding takes place. Does the common pre-merge targeting of women have a direct effect on idol finding? On the one hand: Men have found 13 idols (and women zero) from days 16-21, a time at which men go from net +17 to net +23. That seems like a good fit. But in reality, the effect is probably not direct. We can roughly demonstrate that by comparing the cumulative gender differential for the seasons that were fairly balanced in men and women finding idols (S21-S25, S29-S31) vs. the cumulative gender differential for the unbalanced, male-dominated seasons (S26-S28, S32-S37). Figure 7: Comparing gender differential seasons with balanced idol finding vs. unbalanced. Cumulative gender differential for balanced seasons (S21-S25, S29-S31) vs. unbalanced (S26-S28, S32-S37) by day of game. Here, if the gender differential had a direct effect, we'd expect to see more men present in the unbalanced seasons, and more women during the balanced seasons. Instead, both curves look more or less the same, at least up until about Day 30, when they split apart in the directions you'd expect. But that's probably too late to affect idol-finding numbers significantly. At the very least, there's no effect on that Day 16-21 period we mentioned before. What's more likely is that women, knowing they are likely early targets, tend not to engage in aggressive idol-finding during the pre-merge phase, then maybe start to look for idols later in the game, as we saw with Lauren in HvHvH. This is something Sarah Channon gleaned from her survey responses (the "Weighing up the risk: Why not?" section). Maybe if we see a multi-season swing in which men are predominantly targeted pre-merge, we might see a commensurate rise in pre-merge idol finding by women? Maybe. Or maybe it's more realistic to hope for a structural change that gives women a better shot at idol finding. One of the key findings above is that the themed idol-hiding system from recent seasons amplifies the already existent (but still mostly inexplicable) disparity between male and female idol finders. 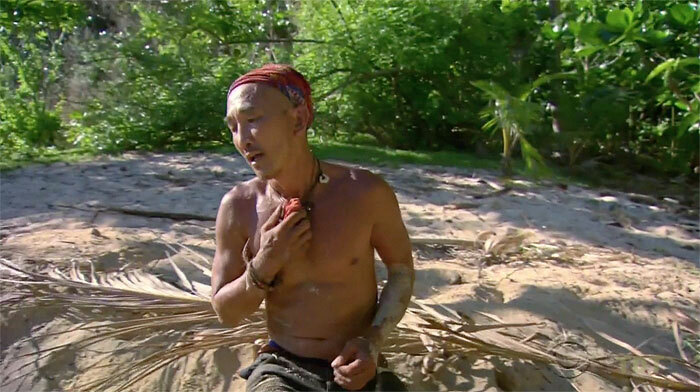 So for a different system — and outcome — let's look to some international Survivor versions from the past year. Survivor NZ: Thailand featured the debut of idols in the Survivor NZ franchise, and they were fairly evenly distributed: (1) an idol clue won at the Outpost by a woman (Tess Fahey) directed her to find it at the next IC, although she shared the clue with her male alliancemates, and one of them (Brad Norris) picked it up; (2) an idol clue in the reward fishing gear, found by a woman (Eve Clarke); (3) another clue for an idol back at camp, tucked into a table at the Outpost, found by a man (Dave Lipanovic); and (4) an idol in camp, marked by an arrow on the ground, which a man and woman (Matt Hancock and Lisa Stanger) saw at the same time, although Matt ended up getting the idol. With the possible exception of Dave's idol, any of those could have gone to either a man or a woman. Russell Hantz M 2 Tree near camp Found without a clue, but Russell was voted out without playing it. Moana Hope F 8 Tribal Council Found a clue in camp, under the reward feast table (similar clue at the other camp, at the water well) saying an idol would be in the voting urn lid. Shane Gould F 15 Under reward item Hidden in camp, underneath a table with the ice bucket that held the reward drinks. Heath Davies M 17 Tribe flag Found the clue in the flag frame, directing him to dig under the flag for the idol. 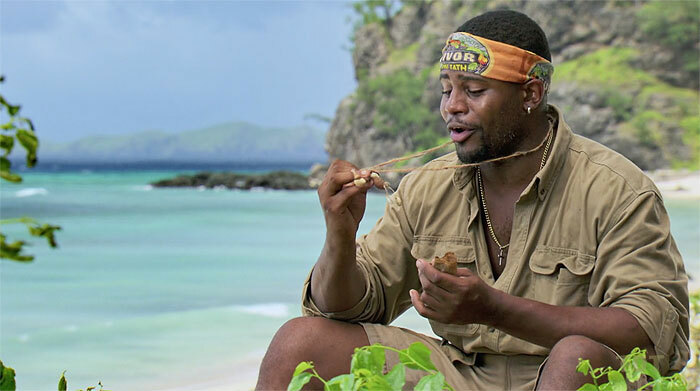 Benji Wilson M 27 Island near camp Benji found the clue in camp, directing him to grab the idol at low tide; eventually did so at night. Sharn Coombes-1 F 37 Challenge Sharn found a clue in camp, with directions on retrieving the idol at the next IC. She did so, very publicly (whoops). Brian Lake M 38 At reward Brian found a clue in the ice chest at reward; idol hidden under the reward building's steps. Sharn Coombes-2 F 43 Near well In-camp idol, in a tree near the water well. There you go: Perfectly even distribution between men and women (4: 4), a huge variety of hiding mechanisms and locations, including a really fun idol that could have gone to anyone on either tribe, hidden in the voting urn lid at Tribal Council. (U.S. Survivor should absolutely steal that idea.) A woman even found two idols, and one of the men was even our old friend, Russell Hantz! Russell in fact found the only idol that wasn't in a high-traffic public area, all the others were either in camp or near the water well (or at reward). Both Survivor NZ and Survivor AU may have chosen these distribution mechanisms to cut down on the need for additional camera crews to be chasing everyone around in the jungle, but if a side effect of that is more balanced idol finding, what's the harm in that? Take note, U.S. Survivor. We see the massive gender divide in idol finding, but could other variables be just as significant? Sarah Channon suggested we might also check whether idol finding also had disparities with respect to some other characteristic, such as age. This is a little more complicated to analyze than gender, since while (almost) every season starts with a clean 50-50 split of men and women, the age range within seasons varies widely, from heavily skewed towards early-20s players (Ghost Island) to overloaded with more mature players (Cambodia). So it'll take a bit more effort to see if the people finding idols diverge from the overall population. Figure 8: Idol finders vs. all contestants, by age. Percentage of all contestants in (roughly) five-year age bins (red bars) vs. percentage of competitive idol finders of those same ages (blue bars). Includes seasons 11, 14-15, 17, and 19-37. We grouped players into five-year age bins to give a little more heft to the numbers. We've also shown the size of the group as a percentage of the total group, because of the vastly different numbers (483 total players in the 24 seasons we're covering, vs. just 85 idol finders). If there's any difference, it's that early-20s players find fewer idols than might be expected from their percentage of the cast, and that maybe contestants in their early (31-35) and late 30s (36-40) find more idols than would otherwise be expected. But even these differences are less than two-fold away from the expected distribution. That's obviously far smaller than the observed drought of idol-finding women, which is greater than 4:1 (and even higher in the past six seasons). Looking ahead: More variety, fewer jungle idols? It's hard to pin the idol-finding gender disparity down to just one factor. Certainly, the ease of repeat idol finds (coupled with men recently finding most of the original idols) plays a part. Most likely, however, the problem results from a blend of different things, maybe even things we can't measure directly. Sarah Channon's survey revealed a frequent complaint among Survivor women: Gender roles at camp. Many felt it was less acceptable for a woman to be absent (alone) from camp, for any reason, than it was for a man. Men could go fishing alone, since there's only one mask/snorkel and Hawaiian sling. Women couldn't. Men collect wood for the fire and shelter, women get assigned duties that keep them in camp, except perhaps to gather water (rarely alone). Couple that social hierarchy with the very real trend that women are generally targeted before the merge (Fig. 6), and there's even more incentive for women to stick to those assigned gender roles and stay in camp, lest they become early targets. That matches up with the same time when men are finding all the original tribal idols (see Fig. 1 and Table I). So moving forward, what should Survivor try to do? The lessons from international Survivor seem the easiest to implement. Having more idols actually hidden in camp could be one way to reverse the current male-dominated trend. Returning to the old system of clues (or even idols) concealed within rewards is another. Simply varying the idol distribution method would also help. Just adding more variety would perhaps be the best approach. If the idols are always off in the jungle where women rarely feel allowed to venture, they're almost always going to be found by men. Vary the locations, vary the way the idols are hidden, and we should see something closer to equitable idol finding. Sarah Channon at RHAP: "Women and Idols: A Survivor Player's Guide"
Supporting Google sheet of competitive idol-finding data for this article (assembled by Jeff Pitman).